Neon Genesis Evangelion is a Japanese hit animated TV and movie series produced by Tatsunoko Productions and directed by Hideaki Anno. Evangelion is an apocalyptic anime set in the future Tokyo after a cataclysm that has all but destroyed the civilization of the world. The series became a hit that spawned a series of full length movies, manga, home videos and other products with it gross revenues exceeding ¥150 billion by 2013. Characters from Evangelion manga are the focus of the Prefectural Museum exhibit. The TV series’ Evangelion started in 1995, and a feature-length movie version appeared in theaters in 2007, which earned a lot of new fans. Thanks to the unexpected storyline and much more advanced screen technology, the third edition, ‘Q’ of the movie released in 2012 following the first and second editions caused a great sensation, and achieved record sales of more than ¥5.2 billion at the box-office. 3,8 million people watched the movie. A full-scale exhibition of Evangelion is scheduled to take place for the first time prior to the premier of the fourth and the final of the Evangelion film series, ‘Shin・Evangelion, Theater version’. Hideaki Anno, one of leading Japanese animation creators, acts as a general director of the exhibition that consists of about 300 pieces of precious original drawings and materials from the movie series, including the latest film. The exhibition looks back at the history of the epic story and the popular characters, such as Shinji Ikari and Rei Ayanami. Furthermore, its showcases the process on how the film makers created the cutting-edge footage from the original drawings and moving images. In addition, celluloid pictures of the TV series and duplicate manuscripts animator Yoshiyuki Sadamoto drew are included in the exhibition. The exhibition opens this Friday and runs through May 8th at the Okinawa Prefectural Museum & Art Museum in Omoromachi, Naha City. The museum is open daily 09:00-18:00, with last admission at 17:30. It’s closed on Mondays. The hours will be extended to 20:00 on Apr. 29, 30 and May 7. Tickets for adults are ¥960 in advance and ¥1,200 at door. High school and college student tickets are ¥650 in advance, ¥800 at door, and ¥400 in advance and ¥500 at door for elementary and junior high school students. Preschool age and younger children are free. 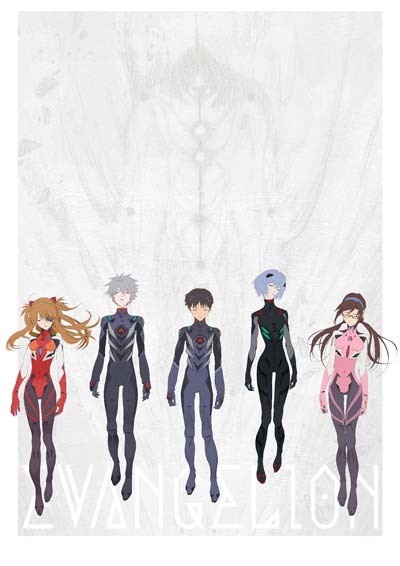 Limited number special day-to-day walk-up tickets with an illustration of one of the Evangelion characters (Shinji, Rei, Asuka, Kaoru or Mari) are sold during the exhibition period. The sale continues until all the character tickets are sold.